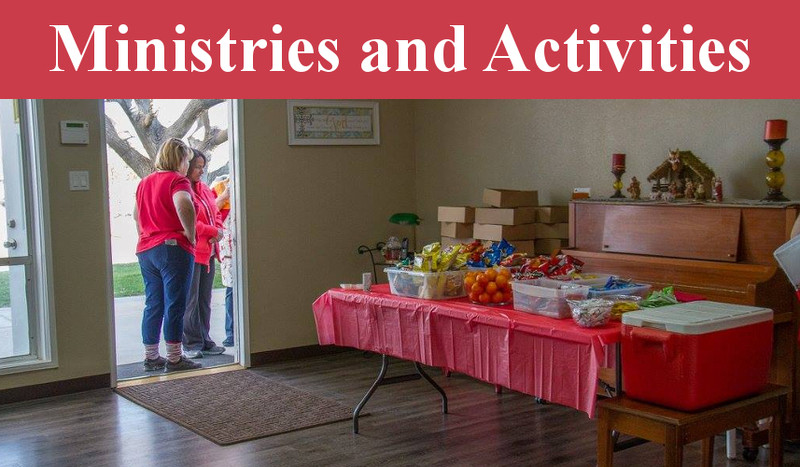 Quartz Hill Community Church offers many opportunities for involvement. Project Hydrate: we bring water to the homeless in our desert community. Children: we need workers for all ages, babies through high school. Cleaning: every week the building needs to be cleaned and every week we need volunteers to do it. Prison Fellowship: working with those who are incarcerated. Angel Tree: providing gifts at Christmas for the children of those who are incarcerated. Everyday Evangelism: reaching the unchuched in our community for Jesus. Quartz Hill Community Church offers many opportunities for growth. Sunday Morning Worship Service: a sermon, contempoary music, and prayer. Adult Sunday School: practical lessons for adults, all ages. Children and Youth Sunday School: practical lessons for children and youth. Youth Group: supervised fun and learning for teenagers. Home Bible Study: opportunity for fellowship and in-depth examination of scripture. Sunday Evening: opportunity for fellowship and an interactive look at vital issues facing people today. Wednesday Evening: fellowship, prayer, and dinner. Quartz Hill School of Theology: instruction in Bible, theology, and the biblical languages (Hebrew, Aramaic, and Greek) on a college level.